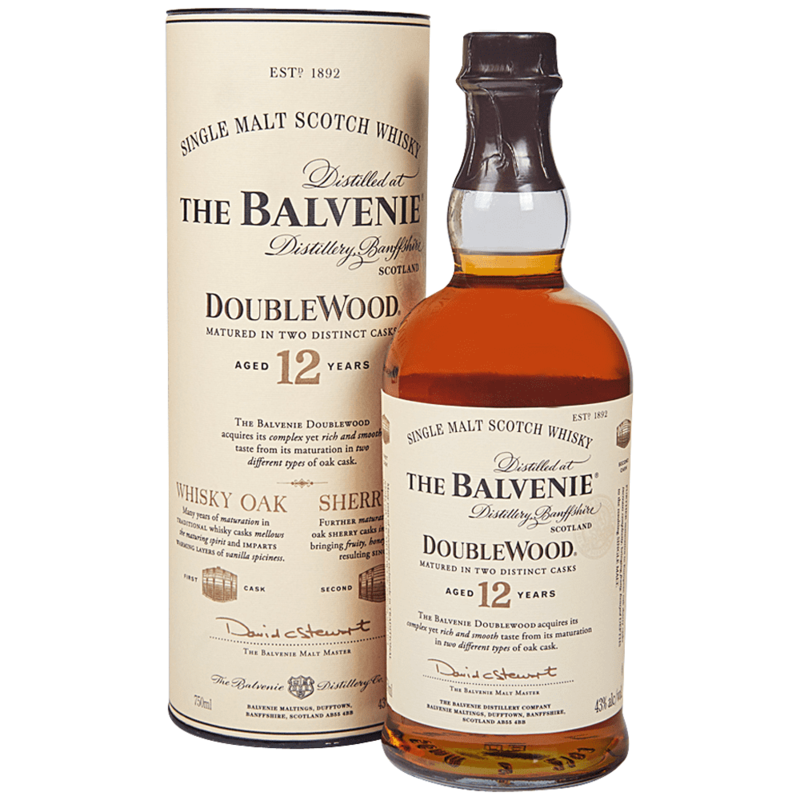 The Balvenie DoubleWood is a 12 year old single malt which gains its distinctive character from being matured in two wood types: traditional oak whisky cask then European oak sherry cask. Sweet Fruit and Oloroso sherry notes, layered with honey and vanilla. Located on Speyside,the distillery grows their own barley and uses a traditional malting floor, the last of its kind in the Scottish Highlands. Resident coppersmiths maintains the stills and coopers ensure each barrel is in perfect condition. The Malt Master presides over the maturation process.